Purchase a RM100 cash voucher with just RM80 & get a contest entry now. 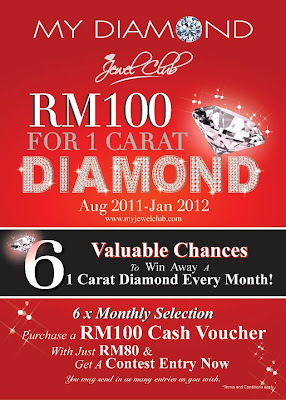 Visit My Diamond Facebook fan page for more detail. Here's one way to save on petrol & groceries... Offer limited to the first 1,500 customers, better hurry!